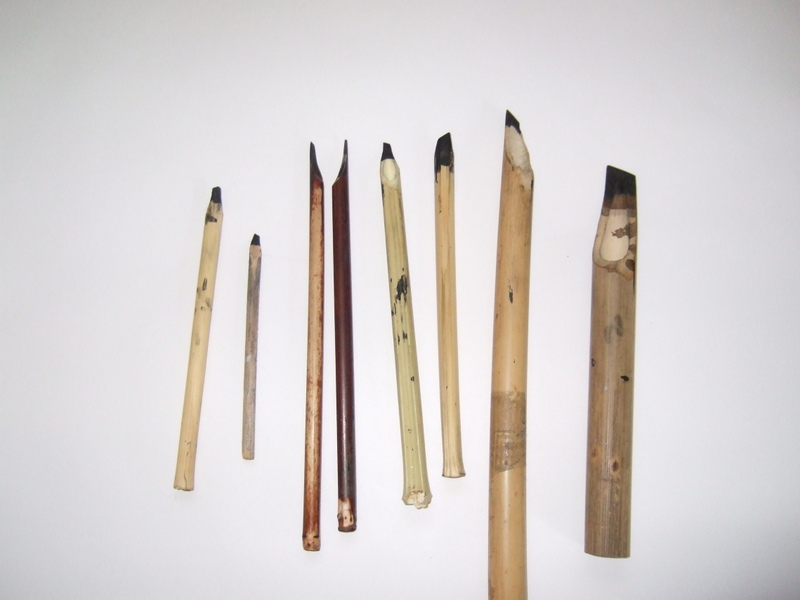 Pens suitable for Arabic calligraphy are made either of reed or bamboo. You can’t use pens bought at art stores because the nibs are cut in the wrong direction. Plus, walking around in marshes looking for reeds is cooler than going to Michael’s. I started with reeds but moved to bamboo because I like it more. 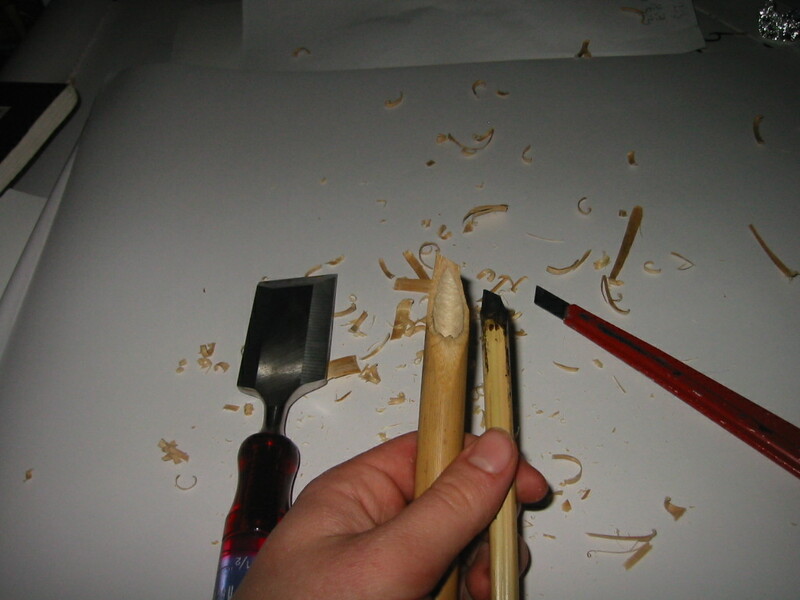 Reeds take more work and they need to be sharpened and re-cut more frequently, but bamboo, with its hardness, keeps its shape and point longer. Sometimes with a reed it would do this annoying thing where if the reed was too wet it would scrape along the paper and split and spray ink all over. These are the pens I use, and this is how I made the second largest from the end. 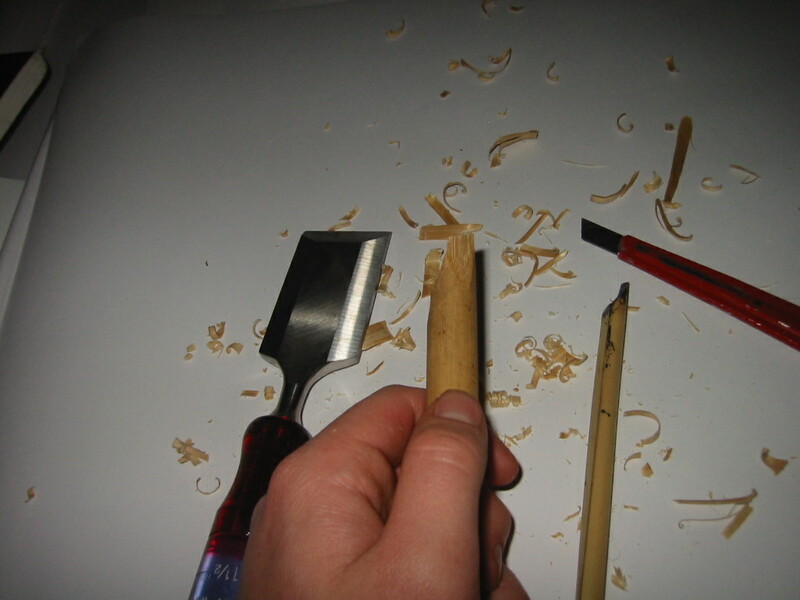 First, I use a chisel and snap-off razor to make and maintain any of the pens. 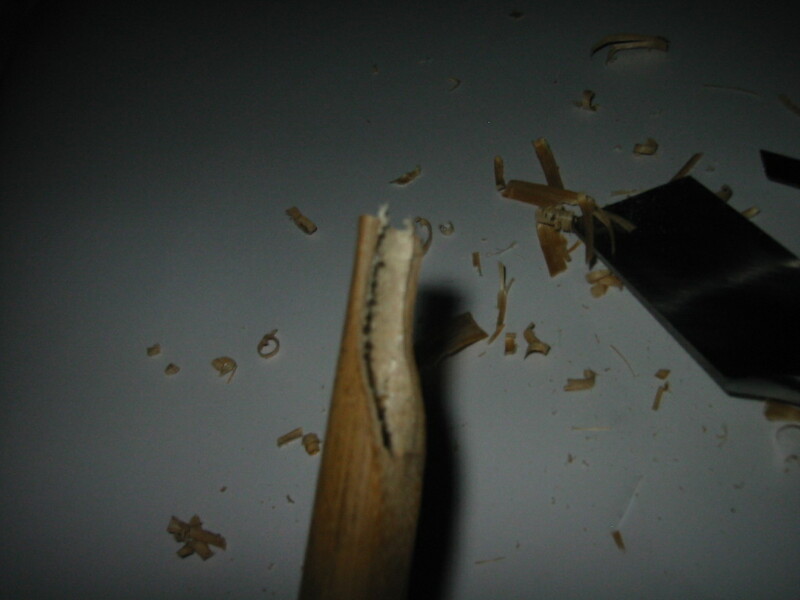 The bamboo ones need to be cut with the chisel usually. Make the first downward cut. 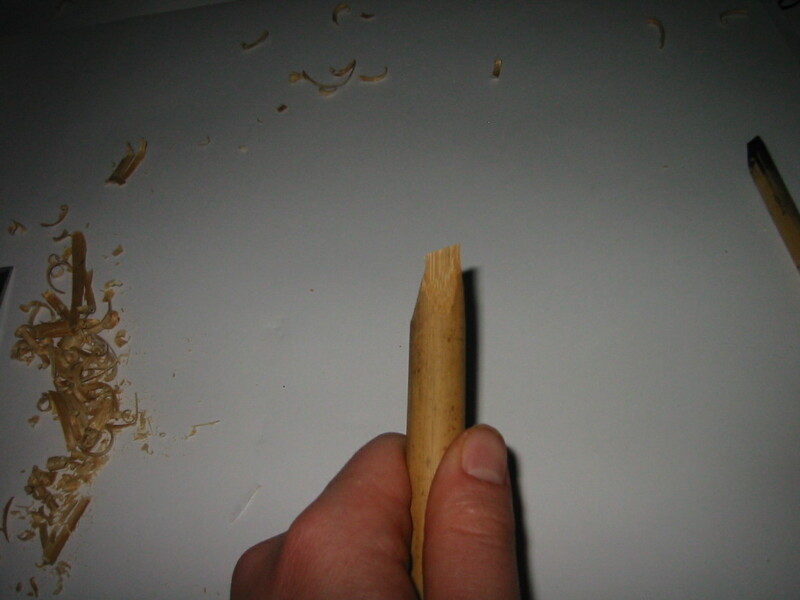 Now that its nicely curved and cut, its time to make the important cut, at a 45ish degree angle down from the left. I use another pen to remind myself every time I make a new one, because once I cut it the wrong direction and it was a big waste of time. Now flip the pen over and bevel the top a bit to make the nib of the pen better for writing and less curved. Now take the razor and trim the wings of the pen, take the flare off. 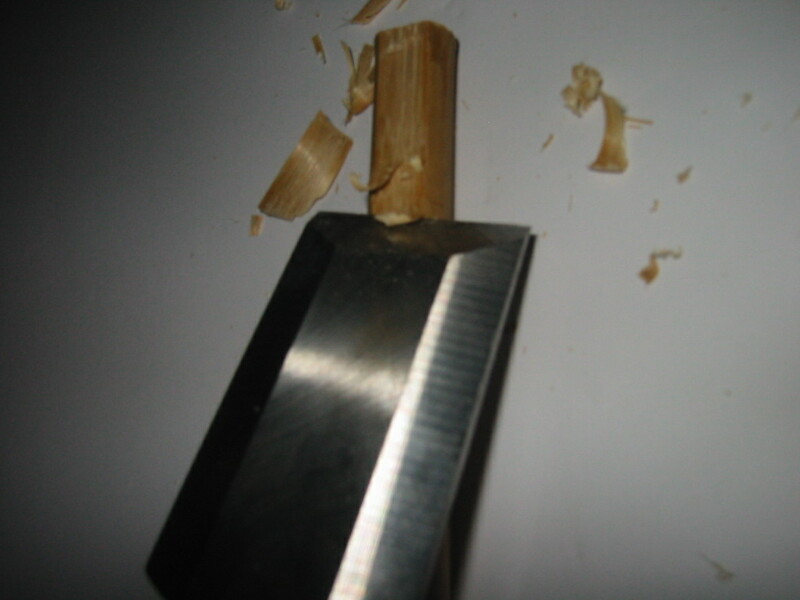 ~ by Josh on March 10, 2008.
where can i find bamboo sticks. Any store which sells them? 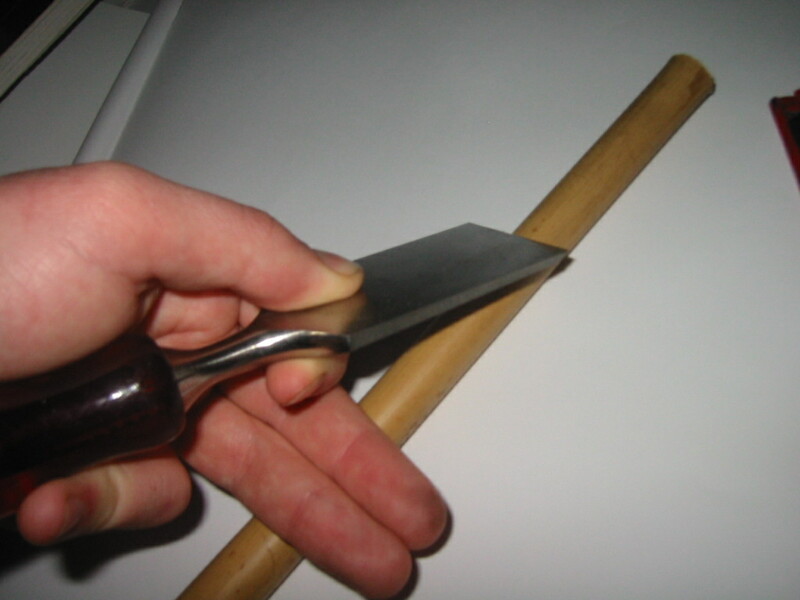 You have done a good job of showing this, but it is much easier to cut the bamboo, reeds or sedges if they are dry: to soak them. This also helps them not to split. 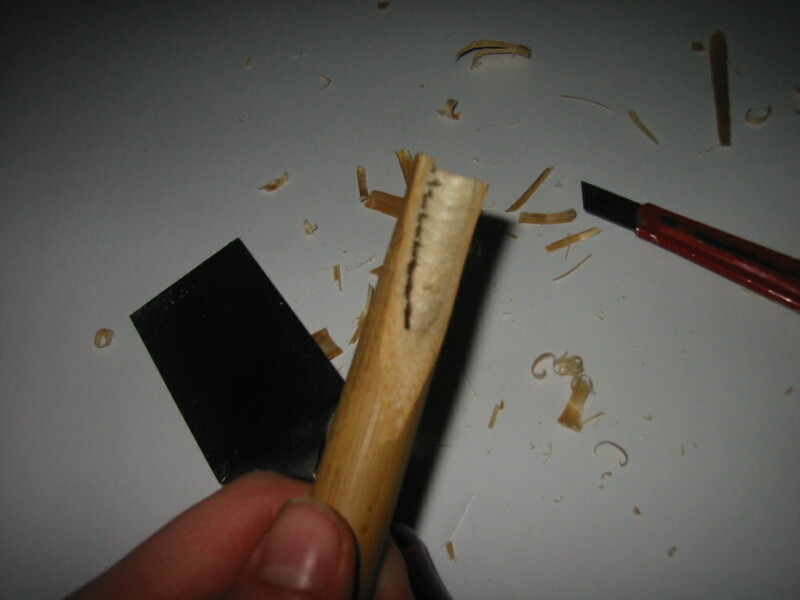 If you cut green reeds they may split when dry; so it is best to use dry, but soaked reeds. You can buy bamboo by buying the torch we burn in the front or back yard during summer to keep bugs away in the summer, since they are made out of bamboo also. 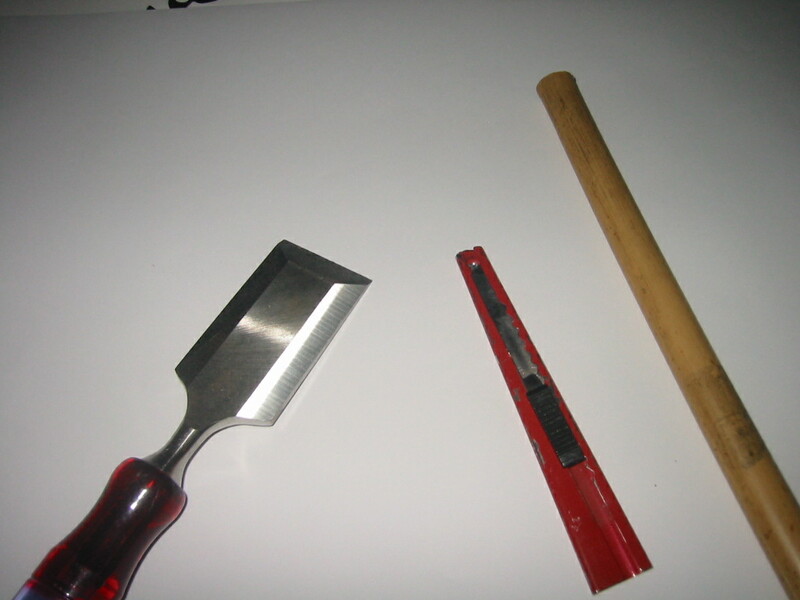 There are usually two sizes, smaller ones are good for making the pens. I made some my-self. -torches are called “tiki torch”, made out of bamboo. I purchase bamboo stalks from hobby and craft stores, like Michael’s and Hobby Lobby. Most decor places will usually have a bundle used for decorating. 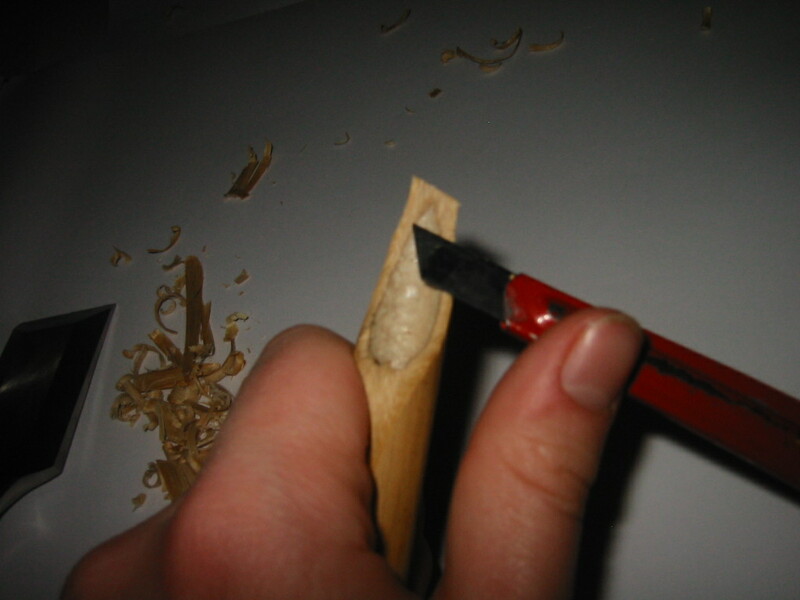 Reed pens are wonderful instruments to write with due to the friction they provide with the paper. However, I would recommend a reservoir which can be made from the metal of a pop can. New video I made showing the method for cutting a pen. Thank you for sharing this great technique with us. I really loved it. I would appreciate it if you could help me in finding the best books to learn Arabic calligraphy taking into consideration that I am a beginner. My name is Dawood. I have been looking to find a teacher to teach me Arabic Calligraphy. I live in San Jose, Ca U.S. Do you happen to know anyone around this area? I am willing to drive to learn.